Department of Art | NEW MASTERS: 4th Annual Sale of Graduating Artists' Works Wednesday April 25th! Home » NEW MASTERS: 4th Annual Sale of Graduating Artists' Works Wednesday April 25th! 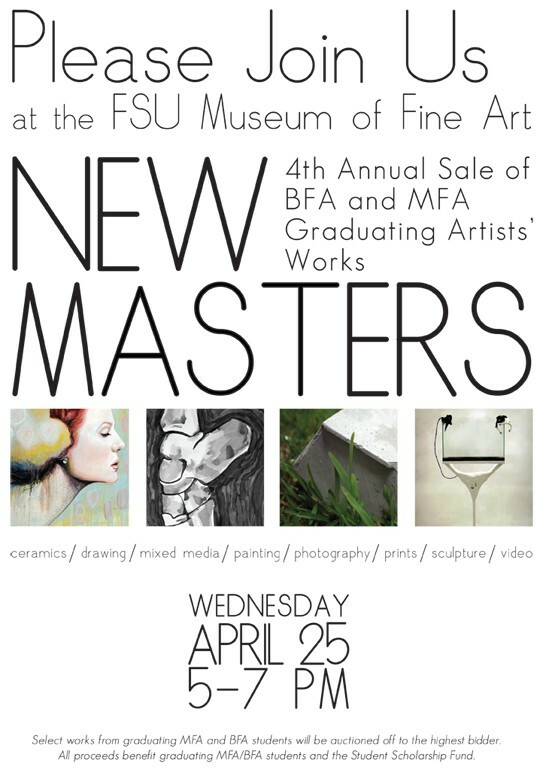 NEW MASTERS: 4th Annual Sale of Graduating Artists' Works Wednesday April 25th!